The Battery Replacement Services from EnerSys is vendor agnostic with technicians trained to replace batteries from any major manufacturer. 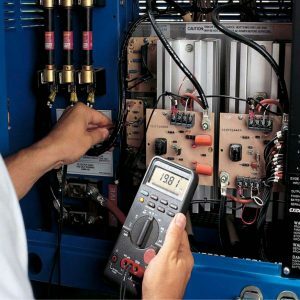 Our technicians can replace the batteries in your UPS system or DC power system regardless of whether they are flooded batteries, 2V batteries, or standard 12V Monobloc. With off-hours scheduling available for any job and available temporary battery banks, we can replace your batteries without disruption to the load. EnerSys technicians will test the batteries before leaving the job site to ensure that your new battery back-up is up to standard and protecting your critical load. The EnerSys technicians can also remove and dispose of the spent batteries and supply you with a recycling certificate. At EnerSys, we know DC power systems. We design them. We manufacture them. We service them. And we’re more qualified to install them than anyone else. From the initial site review to site clean-up after installation, our SystemSafe DC Power and Turnkey Battery Installation is the industry’s most extensive, trusted installation option. EnerSys battery installation services begin with a thorough review of your site and your requirements. We uninstall existing racks and batteries and dispose of spent batteries in accordance with state and EPA regulations, for which we provide you with a Certificate of Disposal. If parts are required as we install new racks and batteries, the EnerSys National Parts Center can ship same-day or next-day. Once installation is complete, we can provide you with an Installation Certificate to assure you that the installation was done correctly and meets or exceeds IEEE Standard 484 and all manufacturer guidelines. From cellular base stations to Central Offices, EnerSys installs complete telecommunications DC power systems from start to finish. Prior to installation, we can provide power systems engineering to optimize the right product for your application. Whatever your system requires – 24V and 48V plants, rectifiers, converters, distribution, alarms – EnerSys has the expertise and resources to handle it. EnerSys will also install any ancillary equipment needed to complete your system, including racking, cables, ladders or other hardware. Our complete Battery Recycling Program makes it easy for you to help preserve our environment, and to protect yourself from the penalties of non-compliance. As the world’s largest battery company, we assume the responsibilities of leadership regarding battery recycling. We do so as part of our commitment to total battery service and customer protection. EnerSys exceeds the law’s requirements by giving you complete recycling documentation, including Recycling Certificates. EnerSys, not a middleman, picks up your spent lead-acid batteries regardless of size, quantity or manufacturer. With service centers located throughout the United States it is easy to stay compliant. You can rest assured that you’re in full compliance with all the fast changing legal requirements.